I feel like in every post I have written lately talks about how quickly the months seem to fly by! This is the end of my second month here in Maryland and things are still going great! 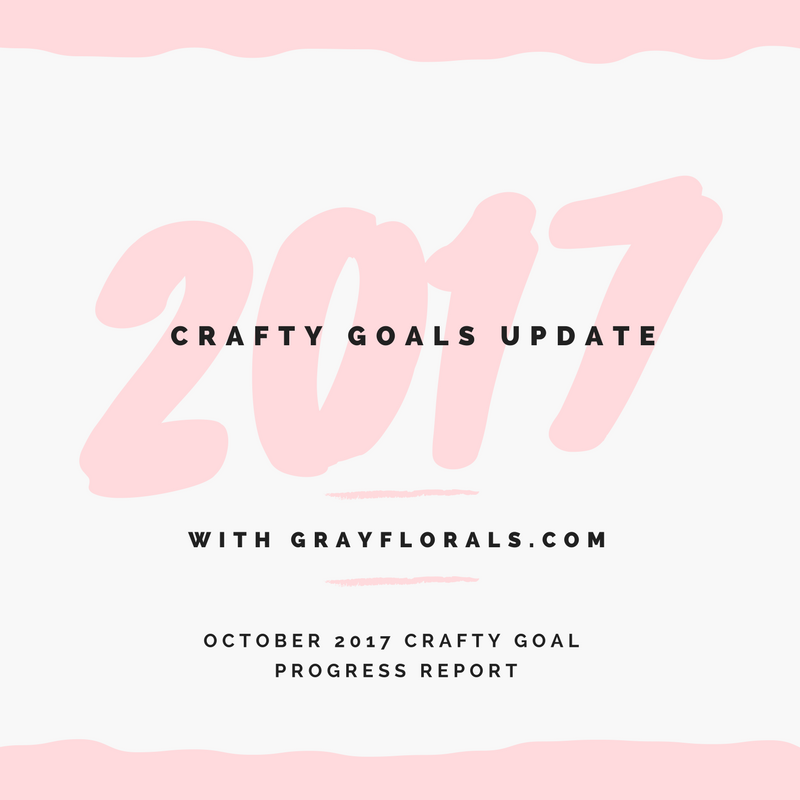 Let's jump in to the monthly crafty goal update. If you've been keeping up with these updates, you'll know that a large majority of my albums are at my home with my parents. So, this goal is sort of on hold still. This goal is also still in the works. I am 100% certain that I will finish one of my travel albums this year! Not my goal, but there were some curveballs I wasn't quite ready for this year. I'll be sure to share a complete album flip through when it is complete! I think I will always have trouble following this rule. I find a lot of joy in looking and hunting for deals on scrapbooking supplies, so it is sort of an activity that I enjoy. I might include a spending freeze in next year's goals, but I'm not sure. I have been excelling at this goal these last couple of months. Being away from friends and family has been a catalyst for me to make more cards. While I have been making more cards, I have also been sending more out! Sadly, I still haven't figured out the best organization system yet. If you have any suggestions please let me know in the comments!